The .com domain name for Greg Canty gregcanty.com can be registered with Register365 for the total price of €8.95 per annum. The .com domain is the big one, the universal one, which is easy to register and without any fuss. For example with the Irish domain .ie you need to jump a few hoops and at least make some attempt at proving that you or your business has a valid reason for being able to claim that name. The frenzy at the beginning of the internet boom was the practice of some very clever people anticipating which domain names would be popular in the future. They purchased these in the hope that at some point in time they might earn a windfall when they could sell them off for big money. A lot of domain names are still registered to people who will never use them and are still waiting for their big pay day! It looks like the last big money transaction was in 2010. What would make you pay this kind of huge money for a domain name? Even if these two elements are in place do you have the resources to pay out big money for a domain name and this must be weighed up against what you could do with this amount of money – could you make your existing domain name or a new name just as powerful if that fund was put being a marketing campaign? Last week I was at the Guinness Store House (a strange experience for me – I could see my old office from the top floor) for the launch of a domain name by a Fuzion client and great friends of mine, Digital Crew. 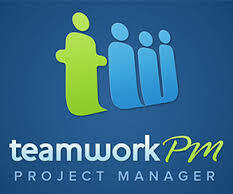 The guys have an incredible cloud based project management application called TeamworkPM, which only after a few years is creating a storm online and is quickly becoming the standard within the sector for managing projects. These guys from Cork had paid over half a million euros for the domain name www.teamwork.com and were celebrating with friends and clients – at 9pm the new domain name was set live. When I first heard this news I thought someone was pulling a fast one on me and when I realised it was true I wondered if they had totally lost their marbles! This was certainly a BIG move, they are paying and playing big, they are thinking big (huge!) but then again they have a global product so it is a big market. What’s more they have big plans to develop a whole suite of products under the Teamwork name. It was definitely a BOLD move …they aren’t a Google, a Facebook, a Microsoft, a Twitter but this was a big bold move, which shows that they see themselves in that Premier league table. BRAVE ….I’m not sure if I could have written that cheque! To be fair to these guys this is isn’t the first time that they have been Big, Bold and Brave. When Digital Crew were working on their core web development business and on some complex web projects they realised they needed a project management application to help co-ordinate their teams and the multiple tasks that were required. After playing with a few different applications online they decided ….these aren’t good enough, we can do better! While ideas are great and we all have them, the guys got together at weekends and late in the evenings when the regular client work was done and starting building a new application. After an incredibly hard slog the application TeamworkPM was ready, which they politely rolled out. There was no immediate success but they interacted with customers, answered countless queries, joined discussions, tracked competitors, improved their product over and over and eventually they had momentum with some serious businesses coming on board and using the application – Walt Disney, Microsoft, EA Sports, Forbes and eBay to name a few. Word of mouth, continuous improvements and dogged determination brought TeamworkPM to a point where the income from the application had surpassed their core business income. They made an incredibly Big, Bold and Brave move to divest of their core business and put everything into their TeamworkPM application. Every month there is a big new feature added, which is a challenge they set for themselves. Within a year they have added significantly to the team and even sent one of the founders to take office in New Zealand (poor Sam – we all know he hates the glorious weather and the beach! )so another time zone could be looked after. While they have been making Big, Bold and Brave moves for a long time the decision to pay over half a million euros for the teamwork.com domain name is about something much more. They have incredible BELIEF in what they are doing, in their own capability and in their vision. They know exactly where they are taking their business. 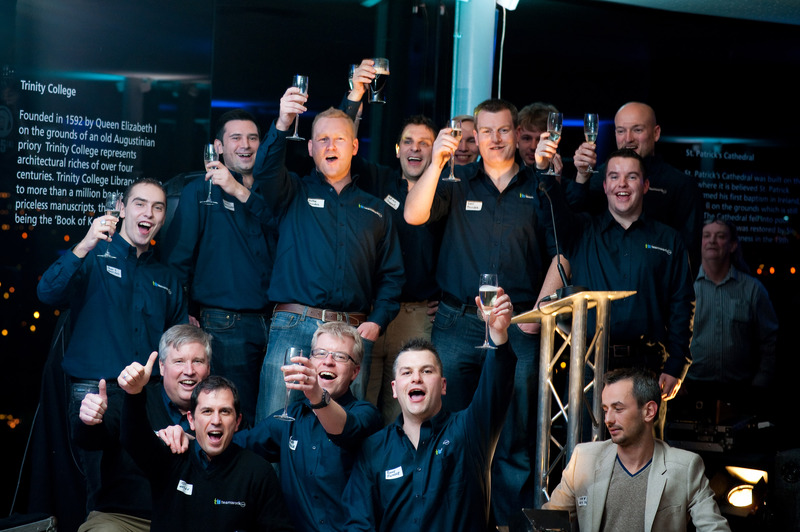 To Dan, Peter, Sam, Billy and all the Teamwork team …..thanks for showing us what Big, Bold and Brave looks like. My belief is your domain will be worth it! This entry was posted on January 28, 2014 at 1:14 pm and is filed under Brand Loyalty, Business Planning, Marketing, Motivation, Positivity, Teamwork, Web Marketing. You can follow any responses to this entry through the RSS 2.0 feed. You can leave a response, or trackback from your own site. thanks Paul – I try ! Do Keep us informed as to how it works out for them. Good luck to the Teamwork guys. Great to see an Irish company fighting their way to success.